There is usually gold capital gains tax (GCGT), and this precious metal is considered a collectible according to the IRS. When you sell gold bullion, you are expected to pay taxes on your capital gains, and this amount is taxed at twenty eight percent if you have held it for a minimum of one year before you decide to sell. Most types of capital gains are taxed at fifteen percent, but collectibles are taxed at twenty eight percent instead. 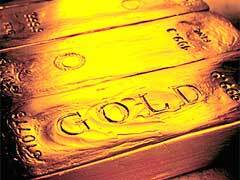 The GCGT and gold ETFs are much higher than some other forms of gold investing. Stocks and other investments that do not actually take possession of the underlying physical bullion are taxed at around half the tax rate that bullion and ETFs are. This is one factor that can help you determine the right place for your investment capital before you invest. Mining stocks can be ideal for many investors, in part because they have a lower tax than the gold capital gains tax. With the gold bullion market as high as it has been, many investors want to jump right into the precious metals market without a lot of knowledge or experience. This can end up costing you plenty in taxes down the road if you are not careful in choosing your investment types. The twenty eight percent GCGT only affects precious metals that you held for at least a year before realizing the gains on the sale. Whether you hold a gold bullion ETF or actual physical bullion, if it is held for less than a year then this amount will be taxed as ordinary income instead. When you are determining the gold capital gains tax, numismatic value trumps denomination value of any coins you may have invested in. With the gold bullion price today and the number of new investors entering the market, often the capital gains tax on gold bullion is overlooked or misunderstood. As you can see from the information presented in the article, precious metals investment costs go well beyond actual cost of the bullion, dealer premiums and storage costs. Taxes that you potentially might have to pay in the future should also be seriously considered when you enter this market.